Dentists can use adwords to great effect. It is an important part of dental marketing. But there are some important things to know before you start. You have little/no traffic on your website: When a website has little or no traffic it means that people are unable to find it when searching for the services you offer. For example if someone is looking for a local dentist and your website does not show on the first, second or third page of the results they get you can be sure to get little/no visitors to your site. The problem is that it can take many months and a large expenditure in time and money to fix this. In the long term it is far better to have your website visible on its own, without paid advertising. But can you afford to wait? Adwords is VERY effective for driving people to your website. You only pay for the actual visitors you get and so you are getting one of the best value for money in the advertising world. You have a new practice: Repeat business and referral are the mainstay of all dental practices. These are the two biggest factors that fill a schedule and they are completely free. The problem is when you have a new practice that you have to advertise for every single patient you get. Even once you are off the ground you are at a huge disadvantage. Other dental practices may have much larger patient bases and can afford to “glide”. Adwords can be expensive. But your overhead and servicing your loans is expensive too. Because internet marketing gets the best ROI in the advertising world, it is a smart way to start pushing new patients through the front door. You are in a specialty that has little repeat business: General dentists have repeat business. But what about cosmetic dentists, orthodontists and implant dentists? Not so much. Referral can be big, but repeat business is very thin. In such a speciality there is a constant need for new patients. There is a much higher bar set and a much more competitive environment. If you are in a speciality with little repeat business then adwords is absolutely essential to you. You are trying to promote a special offer: If you have a new patient special offer that you would like to use to boost your practice adwords is an excellent way to do this. If you find the right provider you can jump into the market for 3 months and then jump out again. Ad words is instant. Within a few hours of setting your advertising up, people are coming to your website and viewing your offer. There is not other advertising that allows that kind of fast entrance and exit to advertising. You are trying to maximize all your services: Perhaps your website performs very well for “dentist”. But does it perform just as well for “dental cleaning”, “dental implants” “periodontitis” and the 15 or 20 other words that people commonly search when looking for your services? Chances are that it does not. It take a huge amount of effort to create a website that performs well for not one but ten or fifteen search terms. If you have a good optimization program going and you are getting good traffic on your basic search terms, adwords can be used to filter out the traffic you are already getting and pull only for the search terms where you do not show up well. 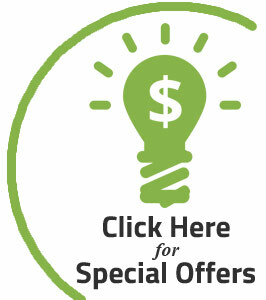 This is a type of selective adwords campaign that can allow you to really book your schedule solid. You hire an agency or provider that does not offer transparency: You have to know what you are getting when you hire someone from internet marketing. “Adwords” refers specifically to a service offered by Google, but can also be easily interchanged with “internet advertising” which covers a host of less expensive and less effective forms of advertising. If you do not know exactly what you are getting and exactly what fees are associated with it you can have problems. What if you spend $1600 a month on “internet advertising” but only $400 a month is actually be spent on the ads? I actually came across that. Do not listen to the special deal, the 50% off. You have to understand – 50% off what? And in the end how much am I going to pay for each visit to my website? Five dollars? Ten Dollars? Forty Dollars? Get transparency or get someone else. You Set It Up Yourself: Adwords offers an easy interface for newcomers. However in my experience, using the beginner interface ends up pushing up the cost per visitor dramatically. Suddenly the ROI is not so great. I recommend using a professional, or if you must set it up yourself, learn and use the full adwords interface. You Can’t Afford to Compete in Your Market: If you are in a competitive marketing but are not willing to compete, it’s better just to do something else. Very small budgets in competitive environments don’t do well. You Have a Poor Website: Don’t spend money driving visitors to a website that is very outdated. You will not get the return. Make sure your website is easy to navigate, clear and informative and has some clear way for people to contact you. Overall dentist can do extremely well with Adwords. It offers a lot of flexibility and excellent Return on Investment. If you would like a free adwords consultation, please contact me.